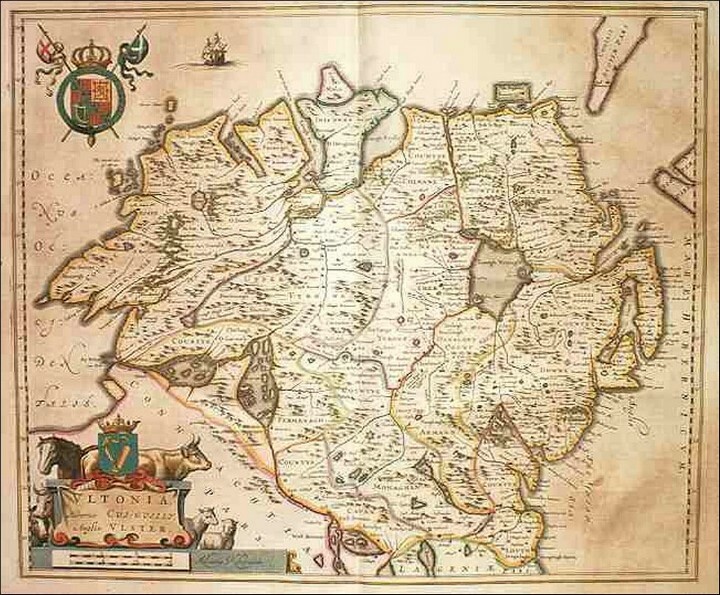 The 2019 Summer School takes place on the weekend of Friday 10th May until Sunday 12th May- The theme is “Migration and Plantation” The programme of the weekend is now finalised and will explore the events in the first thirty years of the Plantation of Ulster from 1607 to 1637. 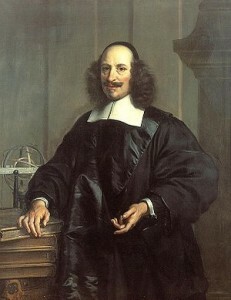 The latter date denotes the completion of the Annals of the Four Masters. 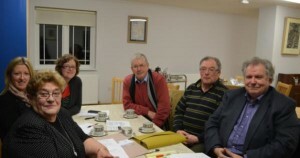 Linda Ervine is the Irish Language Development Officer for East Belfast based at the Skainos Centre. Until eight years ago, when she started learning Irish as part of a cross-community project with women from the nearby nationalist Short Strand, Linda didn’t know a word of the language. Now she manages an Irish language project which provides 14 classes of various ability levels per week to over 250 language learners, as well as tin whistle and set dancing classes, children’s Irish dancing and monthly historical bus tours. 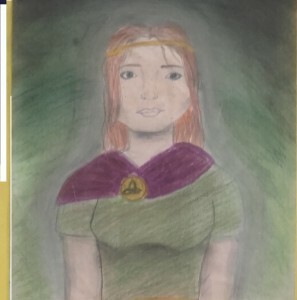 Prizes and certificates will be awarded to pupils in the four categories based on the theme of “Coming and Going”-the title of the 2019 Art Competition. 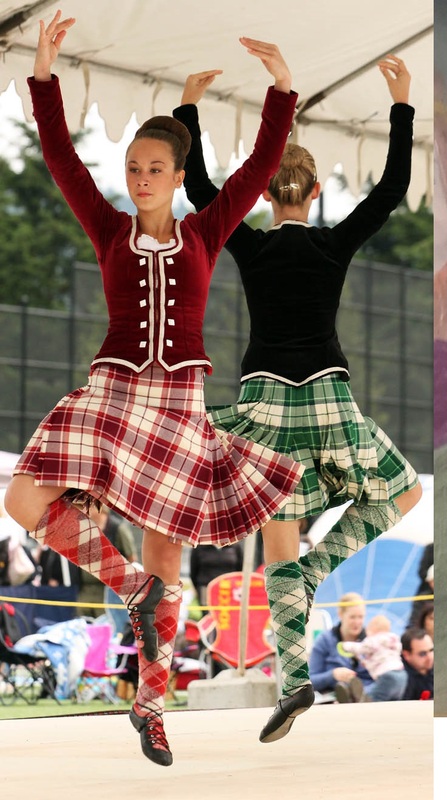 Sollus Highland Dancers, based in Bready, Co Tyrone was formed in 2001. Mischa Dodds (Edinburgh) helped to build up the dance team and trained up the now tutor Georgina Kee-McCarter. The group in their short history have recorded phenomenal success in the competition arena, the highlight being crowned European & Ulster Choreography Champions. Performing in showcases & festivals has seen some of the dancers travel right across Europe to places such as Holland, Switzerland, Germany, France, Belgium plus numerous events in Britain including Windsor Castle for the Royal Family. Sollus Highland Dancers currently have now 5 qualified tutors and teach almost 600 young people weekly in local schools and community groups. In 1987 Angela Currid established a junior choir, called Cór Craobhaigh. Cór Craobhaigh has been performing locally and nationally for thirty years. 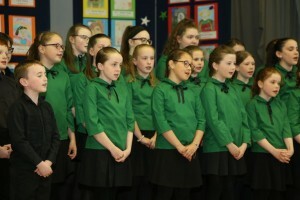 The group has provided hundreds of local children with an introduction to music and contributes hugely to the musical fabric of the locality. 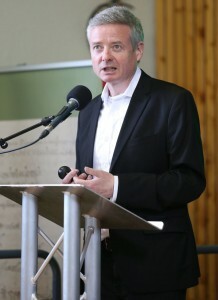 Professor John McCafferty is the Director of the Mícheál Ó Cléirigh Institute, a partnership between University College Dublin and the Irish Franciscans. 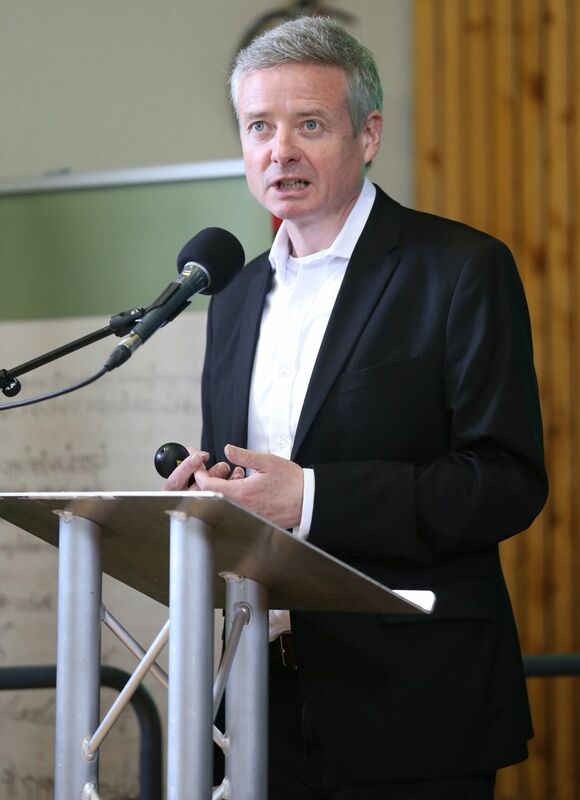 He holds a PhD in history from Cambridge University and has taught in UCD, where he took his first two degrees since 1994. He has published on the histories of both Protestant and Catholic Churches in early modern Ireland. 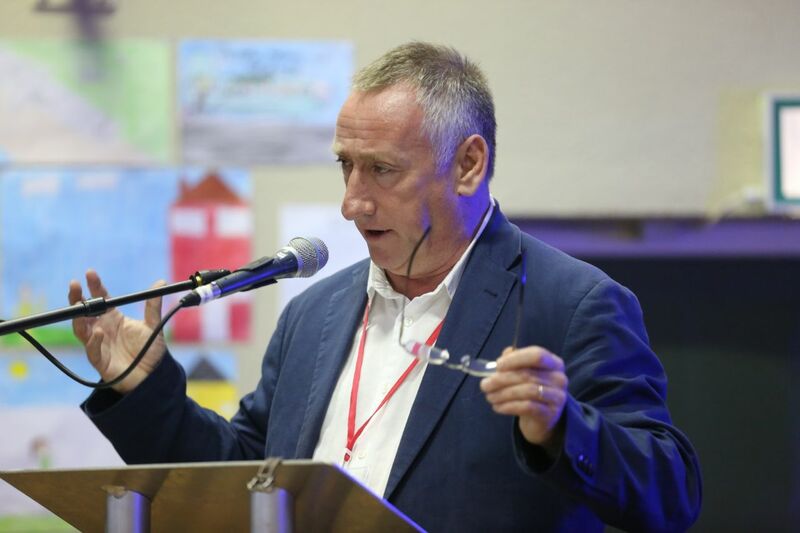 He has contributed talks to this Summer School every year since its inception in 2014 and gives valuable help and advice to the organising committee in planning the weekend’s historical context and speakers each year. Head of the Department of Academic Studies at the DIT Conservatory of Music and Drama. Annaleigh Margey is a Lecturer in History at Dundalk Institute of Technology. Originally from Letterkenny, she studied for her BA and PhD at NUI, Galway. Her PhD research titled ‘Mapping during the Irish Plantations, 1550-1636’, focused on the surveys and maps created in Ireland during the decades of plantation. She subsequently held an Irish Research Council Postdoctoral Fellowship and a J.B. Harley Fellowship in the History of Cartography to continue this research at Trinity College Dublin. More recently, Annaleigh has worked as a Research Fellow at the University of Aberdeen on ‘The 1641 Depositions Project’ and at the Institute of Historical Research, London, conducting research on the property and charity of the Clothworkers’ Company in early modern London. She has also worked as a Research Fellow on a joint project with NUI, Maynooth and the National Library of Ireland focusing on the rentals and maps in the landed estates’ collections in the library’s holdings. 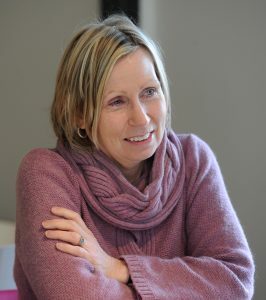 She has published books and articles on early modern Ireland, including an edited volume, The 1641 Depositions and the Irish Rebellion, with her colleagues Elaine Murphy and Eamon Darcy. 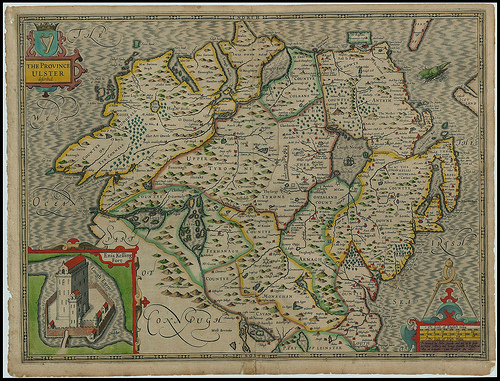 Her book Mapping Ireland, c.1550-1636: a catalogue of the manuscript maps of Ireland will be published by the Irish Manuscripts Commission in late 2018. Most recently, she has been a contributor to The Cambridge History of Ireland, vol. II and has worked on a cross-border project with Armagh Robinson Library and Marsh’s Library, Dublin to digitise, and exhibit, the map holdings of the two eighteenth-century libraries. 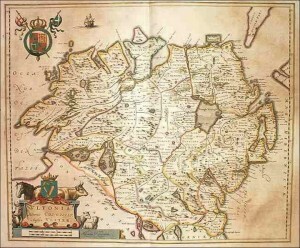 John Speed printed this map of Ulster in 1611.On the reverse of the map there is a complete set of text briefly describing the history and topography of the province. To see this map in detail see link on right hand column. 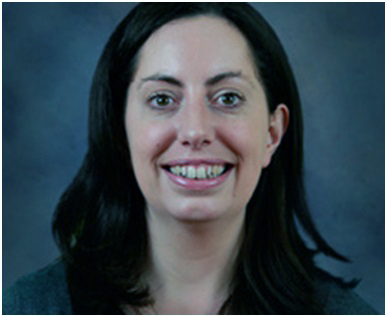 Marie-Louise Coolahan is a graduate of Trinity College Dublin (BA 1994), Oxford University (MPhil 1996), and Nottingham Trent University (PhD 2000). 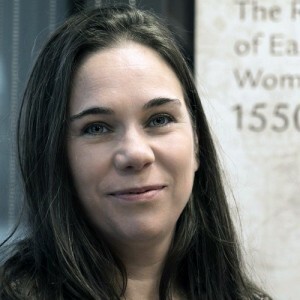 In 1996 she was awarded a doctoral bursary to work with the AHRB-funded Perdita Project, which was founded to research sixteenth- and seventeenth-century women’s manuscript compilations, and to produce a searchable electronic database comprising bibliographical descriptions and detailed analyses of approximately 400 manuscripts. Her doctoral thesis, ’Gender and Occasional Poetry in Seventeenth-Century Manuscript Culture’, was completed in 2000, since which time she has been a member of the English Department at NUI, Galway.She was a visiting research fellow at the Institute of English Studies, University of London, 2004-5 and a Government of Ireland Research Fellow, funded by the IRCHSS, 2006-7. Marie-Louise was awarded a research fellowship at the Folger Shakespeare Library, Washington D.C., and elected a Fellow of the Royal Historical Society (UK) in 2012.Most recently, Marie-Louise has been awarded a European Research Council Consolidator Grant (Principal Investigator) for her project, RECIRC: The Reception and Circulation of Early Modern Women’s Writing, 1550-1700. This project, which will run from July 2014 to June 2019, will produce a new, large-scale understanding of how women’s writing circulated, using the results to analyse how texts, ideas and reputations gained traction in the early modern English-speaking world. It will focus specifically on international correspondence networks, transnational religious orders, and the manuscript miscellany as a mode of textual transmission. A Summer School for remembering, for learning, for enjoyment. 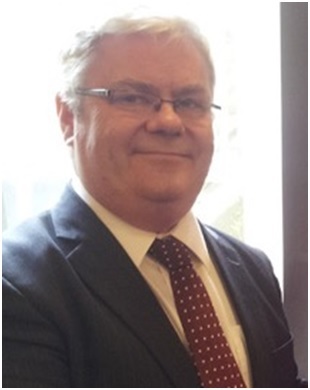 We remember a great local man, Mícheál Ó Cléirigh. We learn from scholars about his story and his times. We begin to understand what this means for us today. And we enjoy ourselves. We travel to local historic sites. We visit Mícheál’s birthplace. We walk the beautiful Rossnowlagh beach. We talk late into the evening in the local hostelries. Welcome to the Mícheál Ó Cléirigh Summer School to a family distinguished by scholarship. His older brother, Maolmhuire (Fr Bernadine) was ordained in Salamanca, Spain, later moving to Louvain, Belgium in 1619 and Michael joined him a few years later. As a lay brother Michael was able to concentrate on historical research and transcription rather than on priestly duties. In 1626 he was dispatched by a fellow Donegal man, Hugh Ward to Ireland to collect the lives of the Irish saints. This he did. But he also did more. For 10 years, Michael travelled the length and breadth of Ireland gathering the ancient manuscripts and histories wherever he could find them. 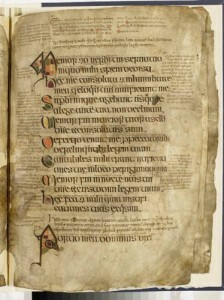 He and his collaborators transcribed the material into Annála Ríochta na hÉireann (the Annals of the Four Masters). They left us with an incomparable record of the history of Ireland. ♦ Local people from Ballyshannon / Creevy / Rossnowlagh in Co. Donegal with a mission to preserve the memory of a great local hero. ♦ The Franciscan Friars who established a Friary on Donegal Bay 1474 and played such an important part in Irish writing and scholarship from their monasteries in Ireland and Louvain. 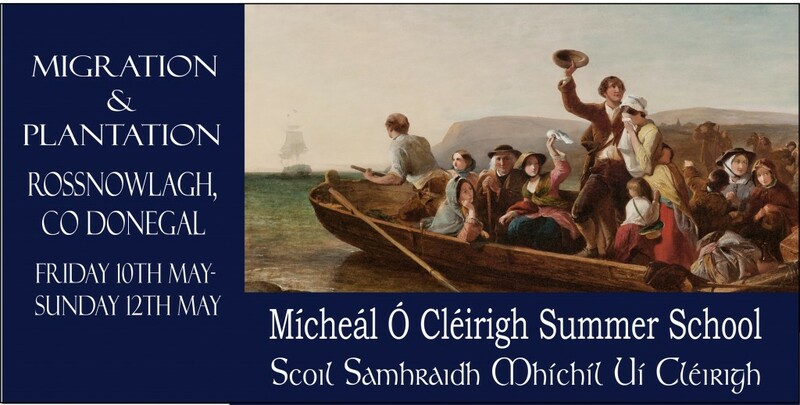 The inaugural programme of the Mícheál Ó Cléirigh School took place on Saturday 17th May, 2014. with the theme “Mícheál Ó Cléirigh” The main events were held in the Ó’Cléirigh Hall beside the Franciscan Friary at Rossnowlagh, close by the birthplace of Mícheál Ó Cléirigh on lands originally belonging to the Ó Cléirigh clan, prior to 1610. 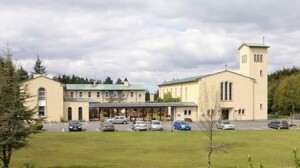 The venue was an appropriate one, as it was built by the Franciscan Friars who returned to Donegal in 1946. They were, of course, influenced by the association of the area with some of the renowned members of their Irish fraternity, such as Mícheál Ó Cléirigh, John Colgan and Hugh Ward. See also our picture gallery from all four Summer Schools 2014,2015,2016, 2017 & 2018.